November 6, 2018 Portland, Ore.—Dr. Paul Thomas seems like a man who has it all: an Ivy League medical degree (Dartmouth, class of 1985), a thriving practice where he’s successfully treated hundreds of opioid addicts, and over 789,000 subscribers to his channel on YouTube. So people are often astonished to learn that Dr. Paul (as his patients call him) nearly lost his life and his livelihood to addiction. 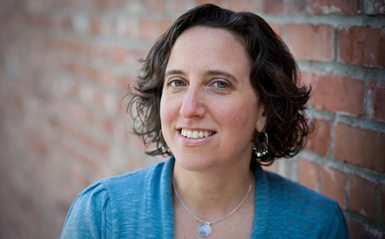 In his new book, The Addiction Spectrum: A Compassionate, Holistic Approach to Recovery (HarperOne), Thomas and his co-author, award-winning health journalist Jennifer Margulis, detail how hard it is to be human, for all of us. The book tells the story of how Thomas fought a losing battle with alcohol while at the same time his wife, Maiya, was struggling with addiction to opioids. 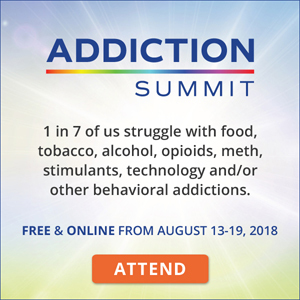 The Addiction Spectrum argues that we can only understand the current opioid crisis if we understand that addiction can happen to anyone. 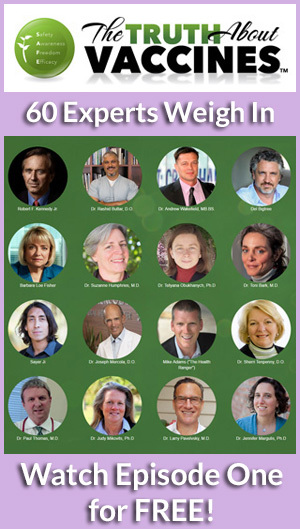 But, the authors say, key lifestyle changes can help you move from the severe to the mild end of the addiction spectrum, and you can start making those changes today. Part of their plan is finding the right community—what Thomas calls your sober tribe. “Isolation is a hallmark of addiction,” Thomas, who was born in Portland but grew up in Rhodesia (now Zimbabwe), says. 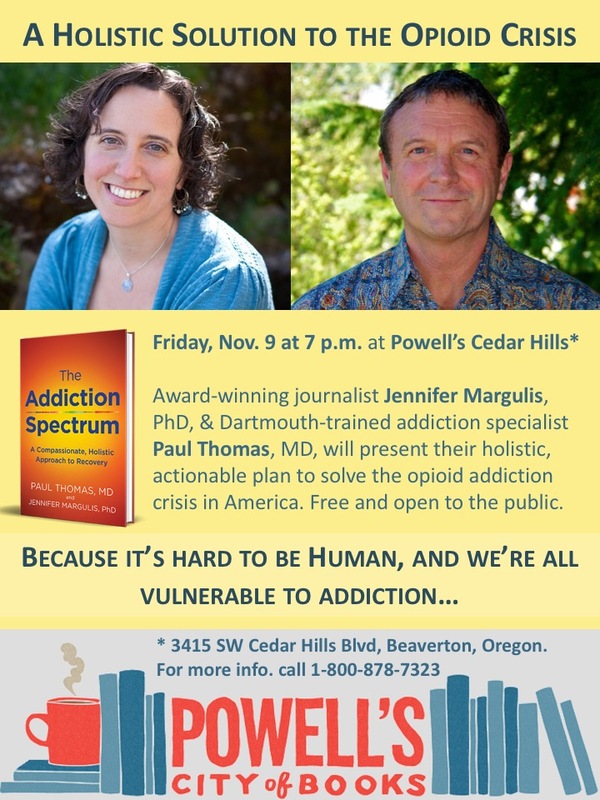 The authors will present their holistic, actionable plan to solve the addiction crisis this Friday, November 9th, 2018 at 7:00 p.m. at Powell’s Cedar Hills Crossing in Beaverton, Oregon. « So You Want to be on TV?